Mr. PM, We are not Sakai! Orang Asli: Mr PM, we are not “Sakai”!!! The Network of Orang Asli Villages Malaysia (JKOAM) voiced their displeasure at the continued oppression and the exploitation of Orang Asli in a press conference in Kuala Lumpur yesterday. JKOAM representative Amani Williams-Hunt Abdullah, or better known as Bah Tony, and also Tijah Yok Chopil told reporters that the Orang Asli wished to clarify some of the misleading information that was made public by Prime Minister Datuk Seri Najib Tun Razak during his 2011 Budget speech. What happened to the allowances? JKOAM refuted Najib's claims that the federal government had increased the allowances of Tok Batins (village heads) and also the Chairman of the Orang Asli Village Development and Village Security (JKKK) from RM450 previously to RM800 per month this year. 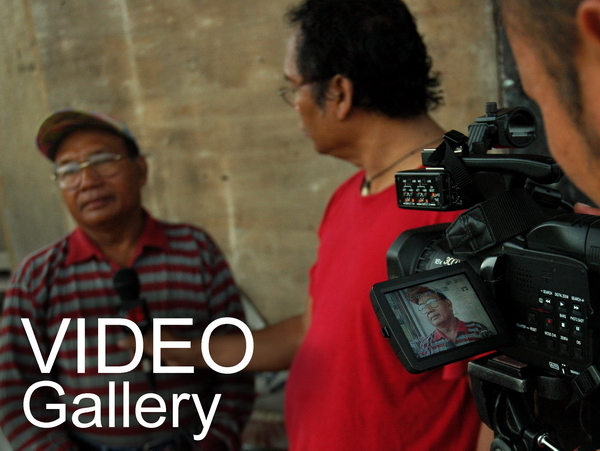 "Batin Kelipit Tinggit from Kampung Dong has been a Tok Batin for 19 years. He has never received a single cent as allowance from the Barisan Nasional (BN) government. Where did his money go? Tijah asked, questioning the accuracy of Najib's statement. Based on Najib's announcement or calculation, Batin Kelipit would have been entitled to RM5,400 per year and would have received RM 97,200 for the past 18 years and with the new amount stated by the Prime Minister, he would have also received at least RM7,200 for the past nine months of 2010. "Some Tok Batins did receive allowances but they were in the region of RM200 per month. On top of that, the government only paid once every three months. Some didn't get it at all, so what happened to the money (RM4,600 balance)? Tijah told reporters, adding that the reporters could check with the 20 Tok Batins who were present today to find out whether they had received any allowances. The 20 odd Tok Batins who had gathered today were from Orang Asli villages in Selangor, Negeri Sembilan, Perak and Pahang. "Even the JKKK Chairman never received any allowances. Again, what happened to the money? Where did Najib get his information from? Stop taking away our land! JKOAM then slammed Najib for further trampling on the rights of the Orang Asli when the latter announced that the Department of Orang Asli Affairs (JHEOA) would be given a RM100 million allocation to carry out modernization plans for Orang Asli, including giving land to the Orang Asli. "We own the land. Who are they (BN government) to take away what is rightfully ours and then 'give' it back to us as if they are doing us a favour? Where is the logic in that? "They take away huge chunks of land, give the prime land to developers and give us back small patches of land. Is there any justice in that? asked Tijah. Bah Tony then revealed that the federal government had yet to respond to the Orang Asli's memorandum dated March 17, where more than 1,000 Orang Asli, marched to Putrajaya to protest the exploitation. "By ignoring the memorandum, Najib is effectively ignoring the voice of the Orang Asli, who are also Malaysians. This shows that Najib does not respect the civil rights of the Orang Asli, does not respect their rights as Malaysians and does not respect them as the indigenous people of the land," he said. Klik4Malaysia (K4M) had earlier written an article about the origins of the Orang Asli. It was recorded in history that the earliest Orang Asli had been living in the peninsular since 8,000 B.C, way before Parameswara (1344-1414) founded Melaka. Bah Tony also pointed out that the Orang Asli relocation plan and also the commercial replanting project were in fact, the real reason why Orang Asli still live in poverty. "They (BN) take away the land without proper compensation and then relocate them to a place where they can not survive. "This shows that the ideas, plans and development projects for the Orang Asli have failed miserably and destroyed the Orang Asli's way of life," he said. Yusri Ahon, a JKOAM activist from Kampung Sungai Mai, Pahang told K4M that the state government also wanted to implement TSK in his village about three years ago. "They wanted to take away our forest and also our palm oil estates, rubber estates, durian orchards and langsat orchards. "They also didn't give us the food allocations that were promised. We never received the rice, oil, sugar, salt and biscuits that was supposed to be delivered to us," he said. However, he claimed that the Orang Asli in Johor were treated better compared to other states. "Some of them were given up to 8 acres of land and they also received food supplies. I don't know, why? he asked. Yusri lamented that the Orang Asli in Pahang would sometimes only get 2 to 3 acres in return after losing tens of acres to the state government and that sometimes when the state government do compensate on the monthly product sales, the Orang Asli were not paid in full. "My friend Hamin from Kampung Penderas has a 3 acre palm oil estate. After working very hard, he gets an average of 3 to 5 tons of palm oil to be sold in the market. Each ton fetches RM600 so he earns at least RM1,800 per month. "Compare that to what the state government is paying the Orang Asli whose estates and orchards were taken away, which amounts to about RM200 to RM400 a month. How are the Orang Asli going to survive? he added. 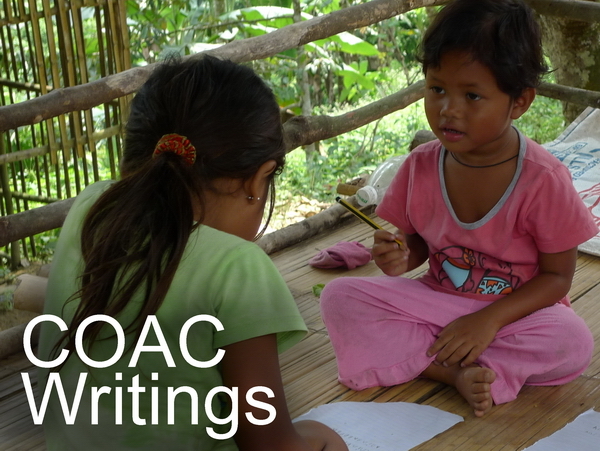 JKOAM also questioned the reason for upgrading the JHEOA from the current department status to become the Orang Asli Development Body (BKOA) as the Orang Asli see the latter as their main source of problems. "JHEOA often ignores and sometimes even cooperate with agencies like RISDA, FELCRA and also the police in oppressing and exploiting the Orang Asli, just like what happened in Kampung Buluh Nipis, Bandar Muadzam Shah, Pahang. "Why is the federal government blind to the Orang Asli's sufferings and have now given JHEOA more authority to rule over the Orang Asli? 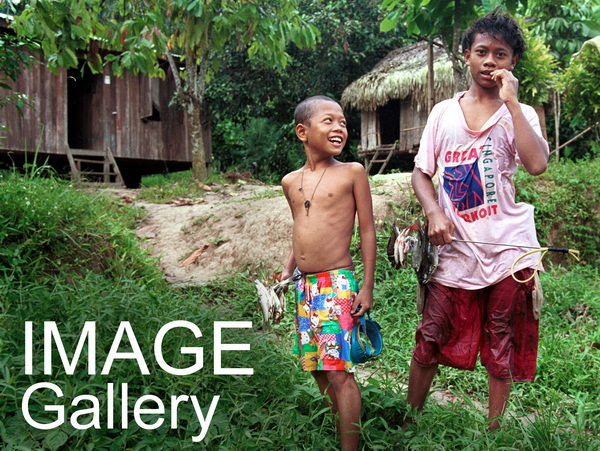 The Orang Asli is an independent community. They don't need other people to rule over them and dictate what they can and cannot do," Bah Tony (above) said. Disregarding the RM100mil allocation for 2011, JKOAM questioned the whereabouts of the missing development funds for previous years that was given by the government to JHEOA, meant for social, economic and infrastructure development of the villages. "Hundreds of Orang Asli villages now still do not have clean (and treated) water supply nor do they have electricity after 53 years of independence. There are also no proper infrastructure like paved roads or bridges or even schools," Tijah said. K4M spoke to a villager, Menah Man, from Kampung Dong, Kota Bahagia, Pahang, regarding the challenges faced by her village people. "We still don't have proper water supply till now. Although there is a water tank, the water pressure is so low that we can only draw water once every two weeks. At the end of the day, we still have to walk very far just to fetch water for daily use. "There is also no paved roads and we all have to take a 10km muddy and slippery hike to the nearest town in Kota Bahagia. Worse of all, the school children have to cross a 70 feet wide river in a small sampan followed by a 6km hike just to go to school everyday. Some of the children wade across the river. It is so dangerous," Menah said. She added that they have requested numerous times from their state government over the past 5 years to build a bridge so that the primary schoolchildren can cross the river safely. "There are about 20 primary schoolchildren now and then there are also about 30 children between 2 and 6 years old. We really need the bridge so there will be no accidental drowning in the future. "We nearly had a case of drowning 2 years ago. A boy was swept by the strong current but was rescued as someone saw him. He was really lucky," she added. When asked how do they cope without electricity all these years, she told K4M that they have been using at least 4 to 5 oil lamps just to light up their house at night. "One litre of oil costs around RM3 to RM4 now and it only lasts us 2 nights." Calculations show that each home uses an average of RM60 per month just for lighting. Panjang Tangkak from Kampung Mikang also slammed the prime minister for his empty promises of subsidies for the poor Orang Asli and also the missing rice allocations for the Orang Asli villages. "Najib promised this and that but until now, nothing has been done," he said, adding that the prime minister is all talk. "If you want to see Orang Asli begging, you should all visit Kampung Tun Razak. The government took away their land and now they are sleeping by the sidewalk and under the bridge, so I don't know what the government is talking about when they said there are funds allocated for the Orang Asli," Tijah said. JKOAM then slammed Najib for referring to the Orang Asli as 'Sakai', a slang that meant 'slaves' when he addressed the UMNO delegates during the recent UMNO general assembly, and quoted an old poem saying, "Sakai...are also Malays." "As a Prime Minister who promotes 1Malaysia, why is he calling the Orang Asli slaves? Secondly, Orang Asli are not Malays. Our ancestors were here long before the Malays set foot on the peninsular," said Tijah. Bah Tony said: "As the PM, he should have known better. If the Malays, Chinese, Indians and other races feel insulted when racist remarks are uttered, it is obvious that the Orang Asli will feel even worse for being called a slave." "Genetic tests have also proven that the Orang Asli genes are unique and are not related in anyway to the Malays." 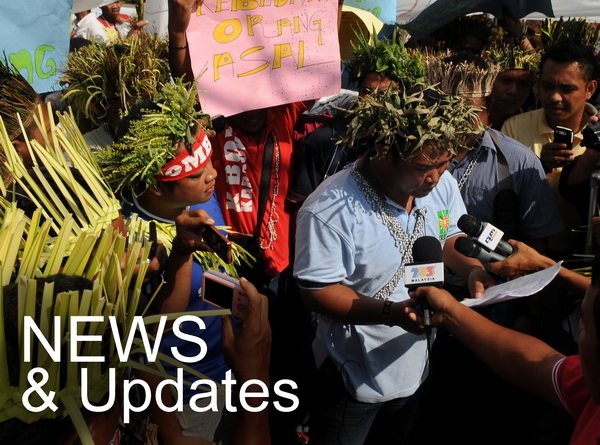 JKOAM then demanded that the federal government stop impinging on the rights of the Orang Asli, show audited documentation of all RPS and TSK projects, conduct a public inquiry into the missing allowances and funds, gazette the Orang Asli land as promised, instead of taking it away from them, discuss any proposed amendments Aboriginal Peoples Act 1954 and most importantly, setup a Royal Commission to investigate the grouses of the Orang Asli. "We call upon the prime minister to honour Article 8 (5) (c) in the Constitution where the government must respect the rights of its citizens to ensure equality and harmony," Bah Tony said.